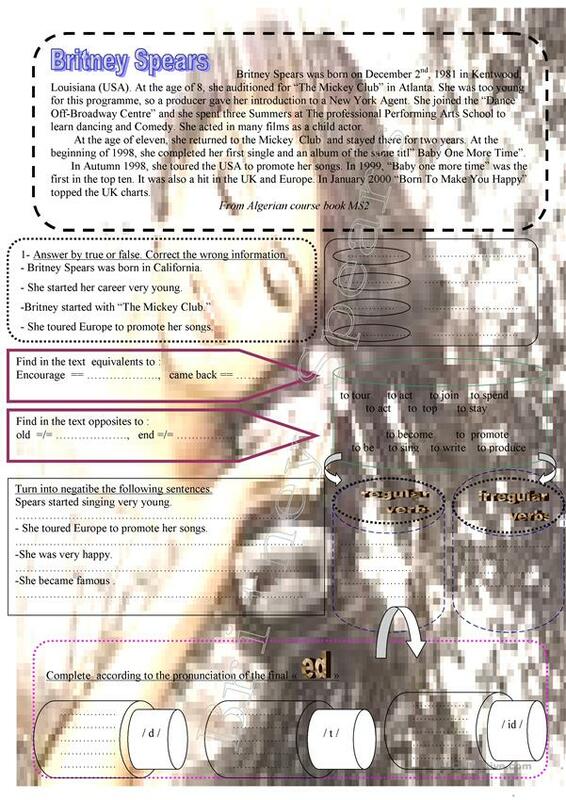 a reading text about Britney Spears.Hope you'll enjoy it! This downloadable handout is recommended for elementary school students at Pre-intermediate (A2) level. It was designed for strengthening your students' Reading skills. foulila is from/lives in Algeria and has been a member of iSLCollective since 2012-09-11 09:47:16. foulila last logged in on 2019-04-19 16:39:34, and has shared 60 resources on iSLCollective so far.